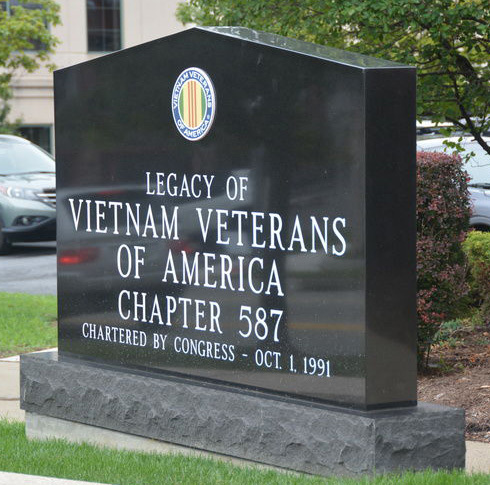 We continue our expose of legally and ethically challenged veteran service organizations (VSOs) such as the Vietnam Veterans of America (VVA), which seems at the surface to be rife with corruption and skullduggery. 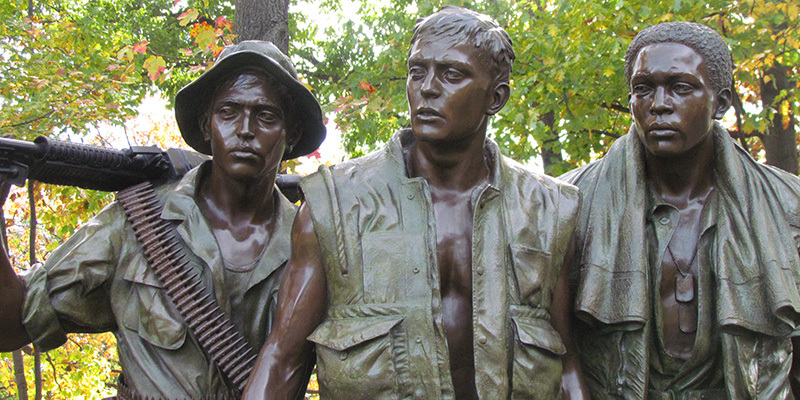 There are many great and wonderful people who served America in Vietnam. 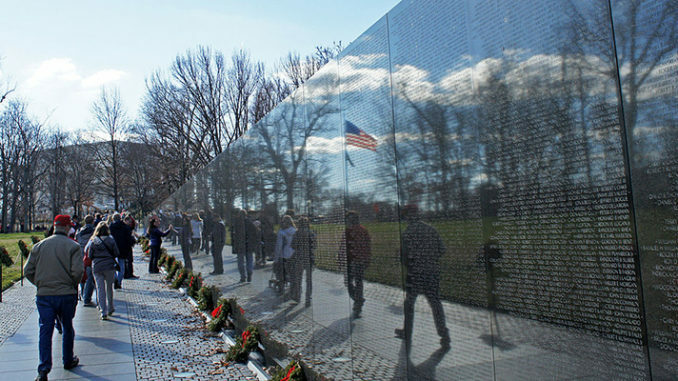 Some of those people joined veteran services organizations, the biggest of those organizations is the VVA which has the blessing of the United States government. Investigator Donald McDole has discovered many layers of corruption in the VVA. And that’s what we are all about, exposing corruption within any military unit or any organization affiliated with the military or its current or past members. 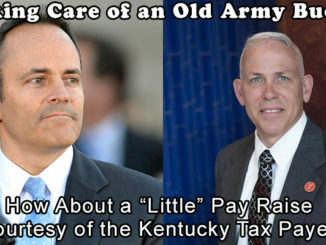 Past members, we refer to as “veterans.” This specifically includes the corruption of any VSO. We submit the following information about the alleged corruption occurring in the VSO called the “Vietnam Veterans of America” (VVA). Given the fact that in 2014 there were twenty-two (22) million veterans in the U.S. population. If you add this figure to the active duty personnel, 7.3 percent of all living Americans have served in the military at some point in their lives. This is why educating ourselves about any malfeasance in veteran service organizations is important. You might be interested simply because you’re a taxpayer, even if no one you know ever served in the military. Because of this, all Americans have a vested interest especially in VSOs that receive our tax dollars. During the April 22-23, 2005 Board of Directors (BOD) meeting and the VVA’s Conference of State Council Presidents’ meeting in Silver Spring, Maryland, the VVA State Council President of Minnesota at the time was Jerry Kyser. Mr. Kyser caused to be leaked a very sensitive, confidential document pertaining to VVA National Secretary Jimmy Grissom. The leaked document indicated the VVA was investigating whether National Secretary Grissom, now deceased, (hereafter referred to as Grissom) had submitted fraudulent documents to help clients obtain federal disability and health benefits from the Department of Veterans Affairs. According to VVA records, an internal probe by the then Director of the VVA Veteran Benefits Program, Len Selfon, Esquire, determined in October 2001 that Grissom had misrepresented himself as a practicing medical professional and had “repeatedly and routinely submitted misleading and fraudulent paperwork” to the Department of Veterans Affairs. Selfon reported that finding to VVA National Officers. Both Selfon and the VVA had a legal obligation to report this criminal activity to the DVA OIG and its General Counsel (GC). Rather than doing so, however, they simply allowed Grissom to resign his accreditation as a VSO in the VVA. No further action was taken against him. The information gathered and prepared by Selfon and submitted to the VVA National Officers alleged wrongdoing by Grissom based on Grissom having falsified VA forms by claiming to have a Ph.D. when he knew full well he did not. Supposedly, Grissom had misrepresented himself as a practicing medical professional and recommended that the veteran (client) undergo PTSD treatment. As outlined in Selfon’s memorandum, Grissom had “repeatedly and routinely submitted misleading and fraudulent paperwork” to the federal agency. Grissom simply laughed and walked away. According to McDole, the memorandum’s allegations were serious against both parties. Not only did it involve Grissom filing false and misleading veterans’ claims on behalf of the veterans he served, but it also alleged Grissom and the other party involving wire fraud by using an electronic device in the commission of a criminal act had committed possible bank fraud. The VVA Officers and BOD were more concerned about who leaked the confidential document than with the alleged criminal acts against Grissom. The VVA had an obligation to determine which applications Grissom had falsified. VVA officers and the BOD should have initiated a complaint with the OIG. Instead of Disciplinary Charges being filed against Grissom, he continued his VVA Leadership position as National Secretary. See Knight-Ridder Article written by Allisson Young, an investigative reporter. The newspaper article implies Grissom was allowed by the DVA to resign his VSO accreditation in lieu of criminal charges. None of the crimes Grissom is alleged to have committed are misdemeanors; all are felonies. It is hard to believe the OIG and the United States Attorney’s Office (USA) would have allowed Grissom to get off so easy. The more likely scenario is that the VVA allowed him to resign his VVA VSO status in return for the matter being closed, buried in the VVA skeleton closet, and conveniently forgotten. Another likely scenario is that Grissom went to his close personal friend Jim Vance, at that time the DVA Regional Director in Boise, Idaho, and conveyed that he (Grissom) was being accused of criminal wrongdoing. In lieu of reporting the matter to the OIG and the GC as VA regulations required, it was agreed that Grissom would resign his position as a VSO in exchange for not reporting the incident. Four months later, the VVA appointed a Task Force. Its charter was to investigate who was responsible for leaking the document. The members of the Task Force, led by Phil Liteer, Esq, Bill Meeks Jr, and Craig Tonjes, traveled around the country interviewing witnesses but never reached conclusions as to who was responsible for what. Doing so should have been a very easy task for the Task Force. All they needed to do was to determine who had the means, motive, and opportunity. In McDole’s opinion, the process of elimination was simple and straightforward: all roads led to then VVAs VP Ed Chow, now deceased. Chow had the means. He was the VP of the organization and had unfettered access to the VVA office at any hour of the day and night. He lived in the local area and could have easily accessed the building and made copies of any relevant document most likely stored in unlocked file cabinets. As to motive, Chow was Grissom’s opponent for the position of President in the then-upcoming National Convention and the election of VVA Officers and BOD members. As for opportunity, Chow was aware of the memorandum and what Grissom is alleged to have done. I believe that he was even provided with a copy of the document when he attended a meeting concerning the matter. Chow was well known in the VVA community for his dirty politics and backhanded and under-the-table deals. He was known by some to be a liar as well. McDole stated that he caught Chow lying about him on several occasions, which he (McDole) documented. McDole attempted to have then VVA National President Tom Corey file National Disciplinary Charges against Chow for dishonesty and misconduct. True to form, Corey simply refused to act on any of McDole’s complaints. Despite this, all evidence leads to Chow having been the person who released the document without authorization to the media. Ultimately, the Task Force reported their findings in a report which recommended that if it was ever determined who released the document, the person or persons be subject to disciplinary action. And what about Grissom? Why didn’t the Task Force recommend disciplinary charges be filed against him for his dishonesty? Grissom should have been criminally charged and under the VVA disciplinary code and he should have been removed from the organization for his actions. 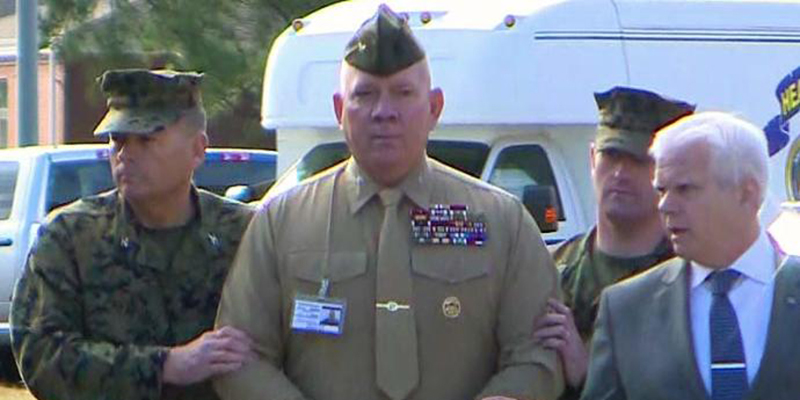 A former VVA Regional Director, Rocky Gothard, now deceased, has his VVA membership revoked for far less egregious violations than those Grissom is alleged to have committed. And who filed the charges against Gothard? None other than Grissom when he was McDole’s predecessor as the Region 8 Director. At the time, McDole was Chair of the Region 8 Disciplinary Committee who presided at the Gothard hearing. McDole states that had he known of Grissom’s alleged wrongdoing, he would have recused himself from the hearing panel simply because how can one crook charge another with committing dishonesty. Now that McDole looks back on the ordeal, another likely scenario is plausible. Gothard more than likely is the person who obtained the information and dirt on Grissom, reported it his close friend Wayne Reynolds, who in turn gave it to Selfon who ultimately initiated the investigation. Grissom at the time was only a member of the VVA elite inner circle. He was the Region 8 RD and was told who ratted him out by an unknown party within VVA. Grissom, in turn, was receiving all kinds of complaints from VVA Chapter 392 President John Neuman about the Oregon State Council (hereinafter referred to as OSC) and its past and present illegal activity. Grissom sees an opportunity to go after Gothard. As Gothard was a former OSC President who Neuman had alleged him to have committed dishonesty while he was the President of the OSC. Grissom filed VVA Disciplinary Charges on Gothard based on evidence gathered by Neuman. There is nothing that can be done to Grissom now. However, the organization we believe is still liable under the False Claims Act, 31 USC §3729 (b) and 18 USC § 4 – Misprision of a felony since the VVA aided in defrauding the government of claims processed by Grissom. The VVA had knowledge of the alleged criminal acts and they ignored their legal obligation to report the matter to the proper authorities. 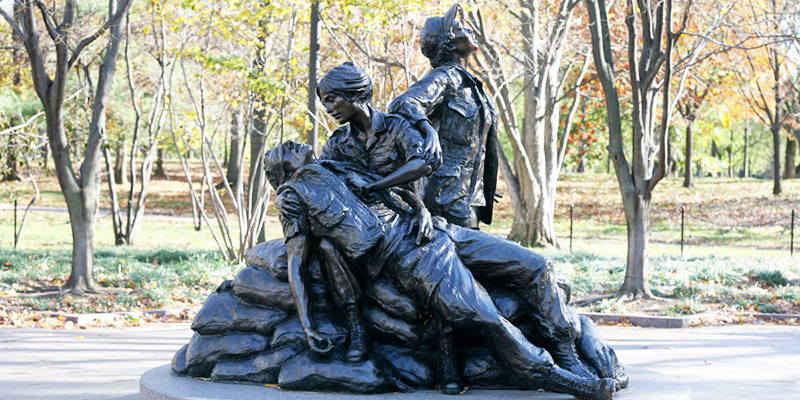 It is the opinion of this reporter that the statute of limitations does not apply since there is a continuance of the fraud on a monthly basis when individual veterans involved, receive monthly compensation from the DVA based possibly on false information submitted by Grissom, information the VVA was aware of and deliberately chose to cover up –or bury – in their national cemetery of skullduggery. The Selfon memorandum also alleged other criminal activity had been committed by Grissom and another individual. If true, the additional allegations were serious felony crimes relating to theft and other irregularities by Grissom and the other individual by accessing veterans’ files for purposes of committing bank fraud. The Task Force report, however, failed to mention any of the other allegations outlined in the Selfon memorandum. One might ask why the VVA didn’t report Grissom to the proper authorities and/or have formal charges filed against him or both? Why? Because Grissom was part of VVA’s Good Ole Boys/Girls club. As such, he was protected by two other members of that elite clique. At that time, the fourth member of that clique was Ed Chow, an archenemy of Grissom and his opponent for the VVA presidency. Then President Thomas Corey should have immediately filed charges against Grissom. He did nothing. 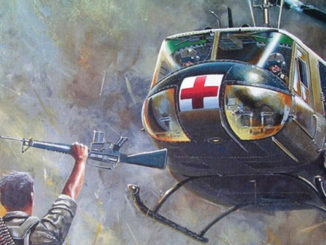 The incoming President, John Rowan, instead of filing charges against Grissom, appointed him to the Board of the Vietnam Veterans Assistance Fund (hereinafter referred to as VVAF), a 501 (c) (3) non-profit corporation that at the time consisted totally of members of the VVA BOD and a few other elite VVA members. Grissom held several elected officer positions in the VVAF, including President and Treasurer. The VVAF under Grissom’s leadership changed their name to the Veterans Support Foundation (hereinafter referred to as VSF). 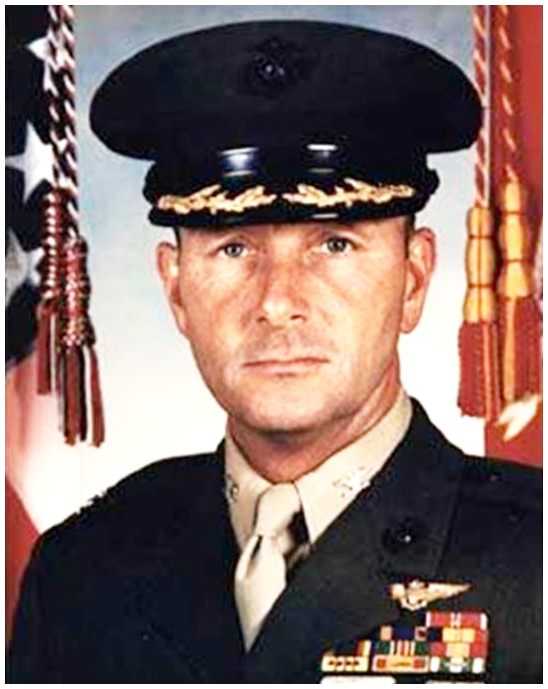 At the time of his death Grissom held a leadership role in the VSF. The VVA has two sets of standards. The first applies to the run-of-the-mill Joe Blow member. The second standard is for elite VVA members. Rowan, Reynolds, and Grissom are in the elite category, the proverbial Good Ole Boys/Girls of VVA. By contrast, Pace was not, and the VVA went after him with an unrestrained vengeance to scapegoat him. One may ask, why does something that transpired so many years ago have to do with the organization now? The answer is simple: It established a pattern and practice by the organization where the mistakes made in the past are more than likely going to be made again and again and again in the future. That is precisely what took place in the Pace case. Here the VVA accused Pace of a criminal act and yet did not report it to the OIG. The same occurred in the Grissom case. Yet in the Pace case, they punished him for significantly less serious alleged offenses than those alleged to have been committed by Grissom, and Grissom ultimately went unpunished. Grissom was a very likable person, but he was also a wheeler and dealer as long as it benefitted him. While McDole thought Grissom a friend, McDole did not necessarily trust him, especially after McDole became aware of Grissom’s alleged criminal offenses. In fact, McDole went to the extreme of telling Grissom flat out he was very lucky McDole was retired. Had he still been an active federal special agent, he would have arrested both of them and turned them over to the custody of the United States Marshal. With presumptuous disdain, Grissom looked at McDole with total and contemptuous indifference and laughed as he (Grissom) walked away. Grissom truly believed nothing was going to happen given that his fellow Good Ole Boys would protect him. On that count he was absolutely correct; nothing happened to him. When McDole inquired about referring the matter to the OIG, Corey assured McDole that the matter would be taken care of. And Corey was correct. It was taken care of – Good Ole Boy style. Albeit unsubstantiated up to that point, the allegations of criminal conduct against Grissom were tossed into the VVA skeleton closet with all of the organization’s other hidden secrets never to be seen or discussed again. Grissom’s modus operandi was to help the client establish a mailing address, often a residential address or a post office (mail drop) box address. Once that was accomplished, Grissom assisted veterans to file their applications for veterans benefits with the DVA in the Seattle or Boise RO. Through wheeling and dealing, Grissom established a great rapport with then Seattle Deputy RO Director Jim Vance. Vance was later promoted to the Regional Director position in Boise. Grissom continued contact with Vance and even started filing claims in the Boise RO. To do so, Grissom often flew to Boise, ID at VVA expense, of course, and met with Vance at his favorite barbecue restaurant in Eagle, Idaho. McDole was present on several occasions where a Veterans Claim was settled over a plate of barbecued ribs and beans. This was long after Grissom’s VVA VSO accreditation had been revoked by the DVA. Grissom was able to obtain accreditation from another Veterans Service Organization as a VSO and continued filing claims and supposedly helped veterans until his death. When McDole was in the process of filing legal action against VVA, Grissom sent him a note and asked him to have his attorney look over the letter and the attached Executive Summary to see if he could file a lawsuit against the VVA. McDole’s attorney reads the note and reviewed pertinent parts of the Executive Summary and thereafter ironically told McDole the only thing he could do for Grissom was representing him if and when criminal charges were filed. This concludes Part III. In Part IV, we will disclose other alleged criminal activity and malfeasance within one or more VVA State Councils. Fasten your seatbelts.